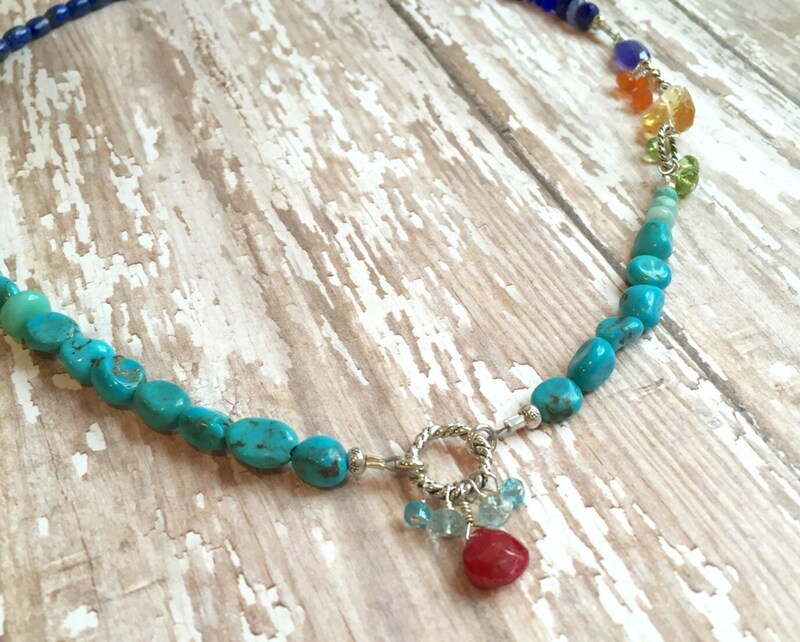 This eclectic necklace boasts a treasure box of gemstones and has an artisanal feel. 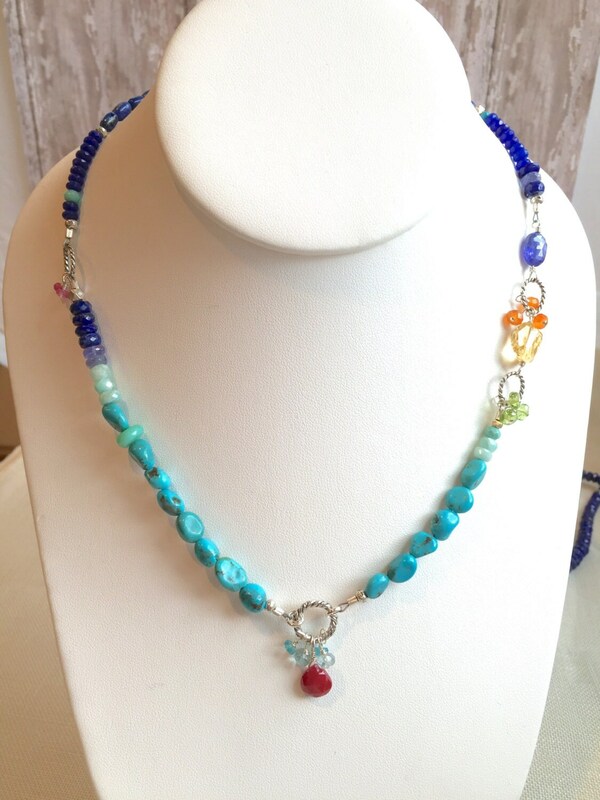 It begins with clear blue turquoise paired with faceted lapis. They are separated by little burst of color from some impressive gems! All expertly hand wire wrapped on sterling silver wire. 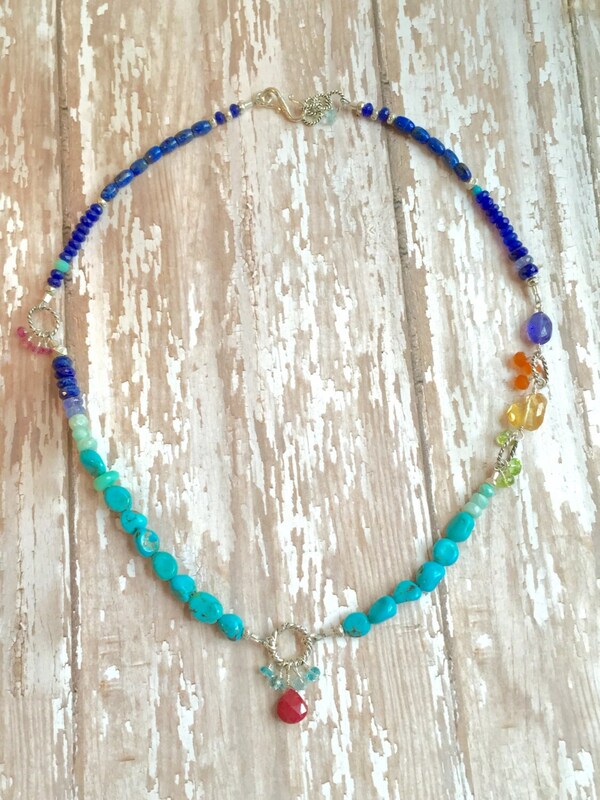 This necklace can be worn in a variety of ways. 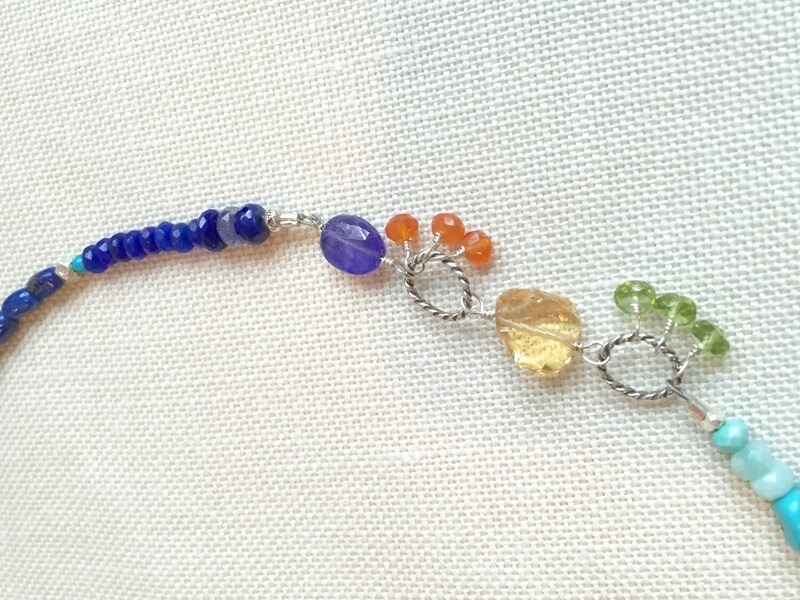 Wear with the ruby gemstone hanging straight down, or let the pretty colors of the tanzanite, citrine and peridot take center stage. There is no right or wrong way to wear this beauty. The single most valuable stone on this necklace is the large faceted piece of brilliant tanzanite, but don't forget the sweet little pink sapphire dangles, rich ruby briolette or clear faceted piece of citrine. 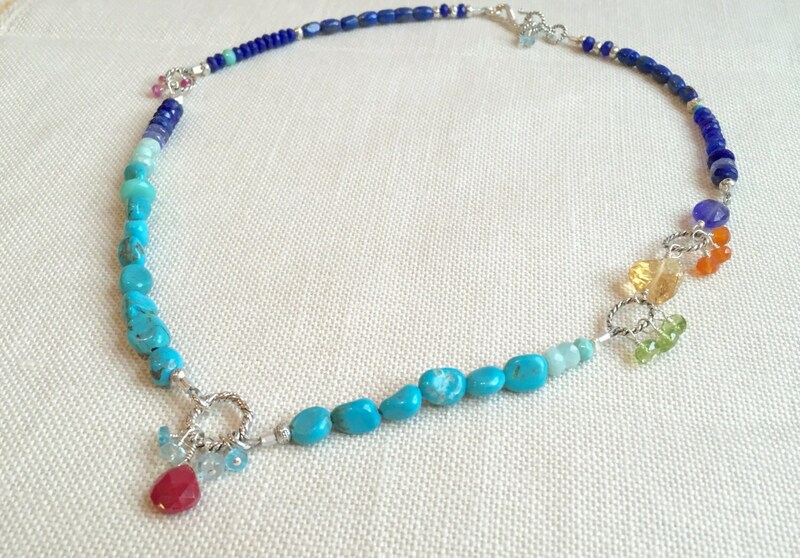 This necklace was a true joy to make as combined all the various colors! Looks amazing with a simple white or black shirt to show off the colors. --Necklace length is 18" on a sterling silver "S" hook. --All gemstones are absolutely genuine: Turquoise, lapis, ruby, tanzanite, carnelian, citrine, pink sapphire, blue topaz, Peruvian blue opal, and iolite. --Hand wire wrapped on sterling silver.